Do you have a passion for your work? If you do, can you imagine being barred from performing it, simply because you cannot in good conscience perform one aspect of the profession? For Ellinor Grimmark and Linda Steen, Sweden has made this nightmare come true. Ellinor is a Christian midwife with a life-long passion to bring life into the world. Ellinor refuses to take part in abortions—she will not snuff out life before the baby has a chance to enter the world. But her commitment to not performing abortions has ostracized her in Sweden. Ellinor applied for a position as a midwife at Höglandssjukhuset women’s clinic in 2013. After initially offering her the job, the clinic then withdrew the job offer because Ellinor had explained that she couldn’t, in good conscience, participate in abortions. As a midwife and a devout Christian, she intended for her work to be about saving lives, not taking them. When she applied to Ryhoys women’s clinic a few months later, she was met with a similar response. The clinic told her that a person who refuses to perform abortions doesn’t belong at a women’s clinic. Can you believe that? If you refused to take the life away from babies in the womb, then you do not belong at women’s clinics. Ellinor at last found a job at Värnamo Hospital, but before she was even able to start the job, the hospital told her they were no longer willing to employ her upon learning that she had filed a complaint against the first clinic. After Värnamo Hospital turned her away, Ellinor knew she was back where she started. Recognizing that her experiences raised important questions about the protection of conscience in the medical profession, Ellinor decided to pursue legal action. ADF International filed an expert brief in the case, assisting allied lawyer Ruth Nordström of Scandinavian Human Rights Lawyers in taking Ellinor’s case to court, first in Sweden, and now at the European Court of Human Rights. Ellinor only wants to help women and help bring life into the world. But she’s been faced with opposition each step of the way. Swedish law claims to recognize freedom of conscience, and the Parliamentary Assembly of the Council of Europe has passed a resolution on ‘the right to conscientious objection in lawful medical care’. However the district court of Jönköping County Council ruled against Ellinor, and to make matters worse, the court ordered that she pay costs of more than SKr 1m (USD 109,000). In April 2017, her appeal to the Swedish Labour Court was denied. In June 2017, she decided to take her case to the European Court of Human Rights. But Ellinor Grimmark is not the only Swedish midwife who has encountered obstacles because of pro-life convictions. 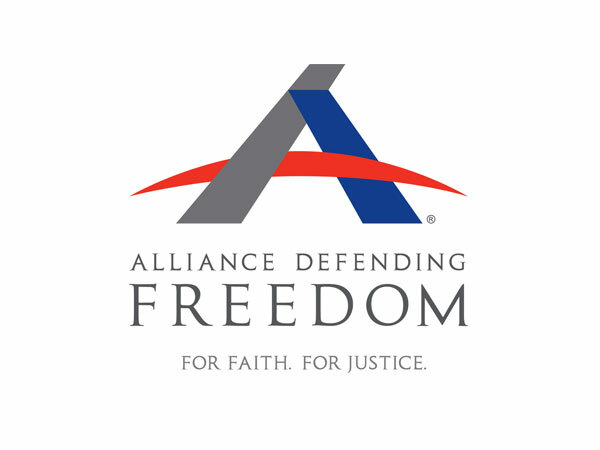 ADF International also supports the case of Swedish midwife Linda Steen, who objected to assisting with abortions for reasons of conscience and was therefore denied employment. Ruth Nordström also represents Linda and filed a claim with the district court of Nyköping in Sweden. ADF International also filed an expert brief in support of Linda in the case. Being pro-life should not disqualify Linda or Ellinor from employment as midwives. Each entered the medical profession to protect life, not to do what they believe to be harm to their patients or unborn children. The medical industry in Sweden’s campaign to keep people like Ellinor and Linda out of the midwifery profession undermines their fundamental human rights, and with that the rights of all people. In the end, midwives like Ellinor and Linda are simply trying to stand up for the fundamental human right to life, which is laid out in Article 3 of the UDHR. Ellinor, Linda, and the lives they love to see emerge into the world are human too, right? To deny the dignity of Ellinor and Linda is to deny the dignity of the unborn. On the occasion of the 70th anniversary of the Universal Declaration of Human Rights, ADF International reaffirms the fundamental understanding that human rights are based on the inherent dignity of each person. They’re based on the inherent dignity of doctors and midwives … including those who are pro-life. Join us today in the promotion and protection of your fundamental freedoms, by signing The Geneva Statement on Human Rights.